Chester Dale [1883-1962], by 1928; bequest 1963 to NGA. Dale, Maud. Before Manet to Modigliani from the Chester Dale Collection. New York, 1929: no. 50, repro. Dortu, M.G. 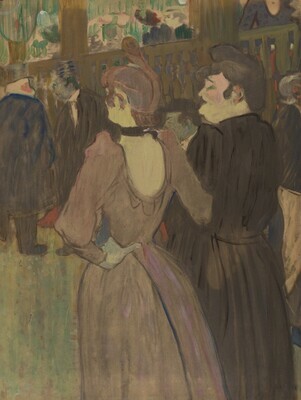 Toulouse-Lautrec et son oeuvre. 6 vols. New York: Collectors Editions, 1971. European Paintings: An Illustrated Catalogue. National Gallery of Art, Washington, 1985: 400, repro.